Improve your golf with the Arccos 360 Golf GPS Performance Tracking System! The Arccos 360 Golf GPS Tracker is a fully-automatic hands-free system that combines Live Shot Tracking, GPS 2.0 system for measuring front/middle/back yardage to green on over 40,000 courses, and a proprietary Tour Analytics platform. 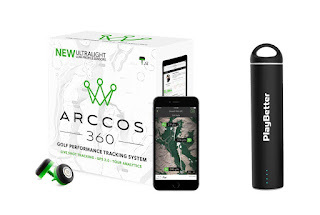 The new version of the Arccos 360 Golf GPS Tracking System was introduced in November 2016 and is compatible with both iOS and Android devices with new software that increases accuracy by up to 90% and new Arccos sensors that are now 50% smaller and lighter than the original ones. The Arccos 360 comes with 14 ultra-light low-profile sensors, one for every club in your bag (13 standard and 1 putter) which attach easily to your club grip with zero swing impact! 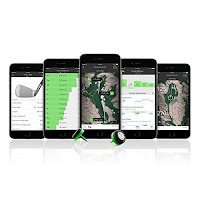 The Arccos 360’s performance tracking system automatically records and analyzes every shot you hit, helping you to identify your strengths and weaknesses, and enhances your on-course decision making including learning which club to use in every situation. The Arccos 360’s Tour Analytics platform breaks down your handicap into 5 key components: driving, approach, chipping, sand and putting. Stats tracked include GPS distance to front, center and back of green; club distances; averages fairways hit or missed greens in regulations; putting statistics; up and downs; sand saves. The Arccos 360’s GPS 2.0 system combines hands-free shot mapping with rangefinder distances to any point on over 40,000 golf courses. 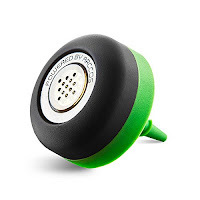 To track your golf game, you must have downloaded the Arccos 360 app on to your iOS or Android device and pair it via Bluetooth. Your iOS or Android device must be in your front pocket while you’re playing your round. 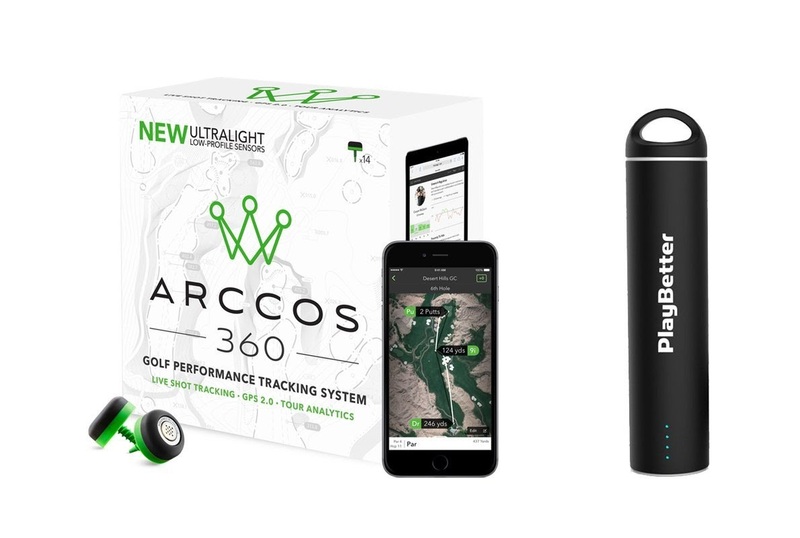 The Arccos 360 Golf GPS Performance Tracking System is bundled with the PlayBetter Portable Smartphone Charger to ensure your phone stays fully charged out on the course. 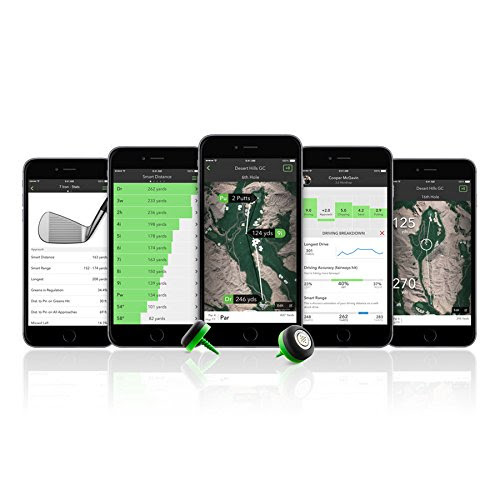 The Arccos 360 Golf GPS Tracking System is for the golfer who wants a more analytical approach to their game. The 2016 version has been updated and offers improved performance over its predecessor. For accurate performance, ensure you carry your phone in your front pocket while using this system. As you would expect, the Arccos 360 app is going to use up your phone battery while on the course (some people report anywhere between 40% to 70% depending on the type of mobile you own). But this bundle comes with a smartphone charger so you don’t need to worry about your phone dying!